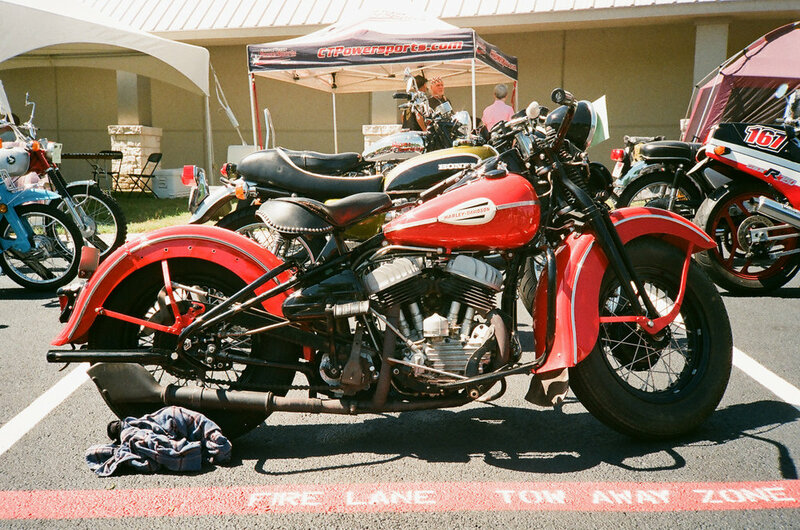 Last Saturday the annual Texas Motorcycle Revival was going on at Central Texas Powersports in Georgetown, TX. This small gathering drew some neat bikes last year and I was eager to see what people would ride in this time around. There was a great mix of machines and, as usual, I came away inspired. 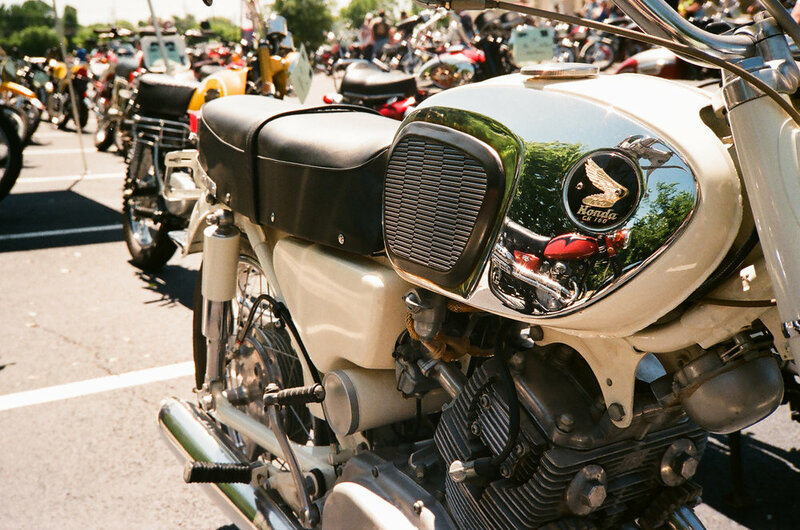 Someday I'm going to have to find an old bike to wrench on and bring back to life. Lately when I attend events like these I travel minimally, photographically speaking. I opted for film shooting because it's kind of self limiting in the number of shots I can take and it tends to keep me more into the experience of the event instead of having a camera up to my face the whole time I'm there. My pocketable Olympus XA was my camera companion of choice, loaded with a roll of Agfa Vista 200 film. 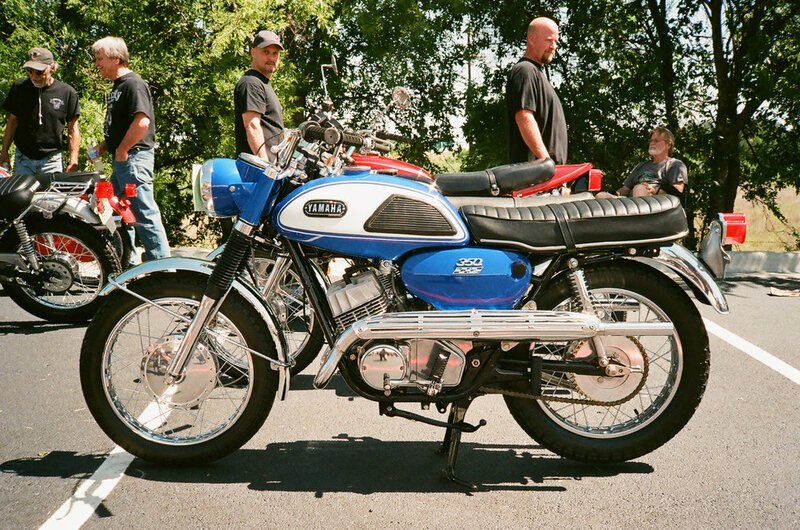 Here are a few favorite bikes. 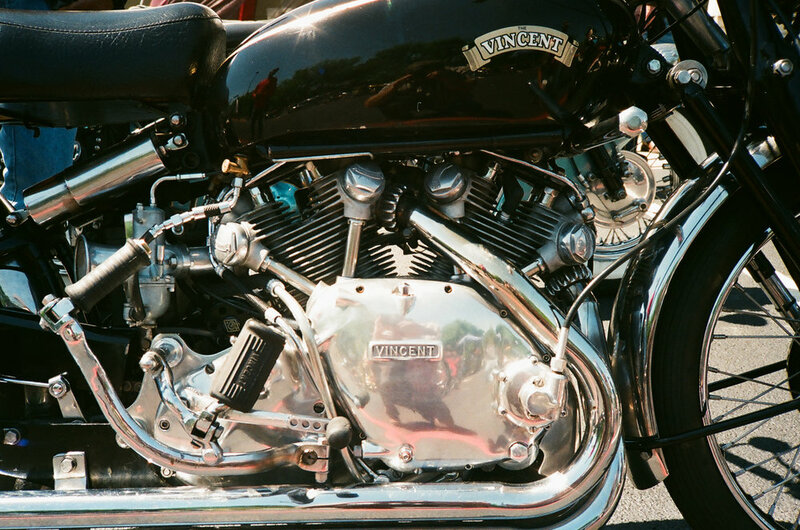 That Vincent...drool. And some closer details. The Olympus XA can't focus very closely and I was tempted to use my iPhone at times. I decided to keep it a pure analog experience. It just seemed fitting. 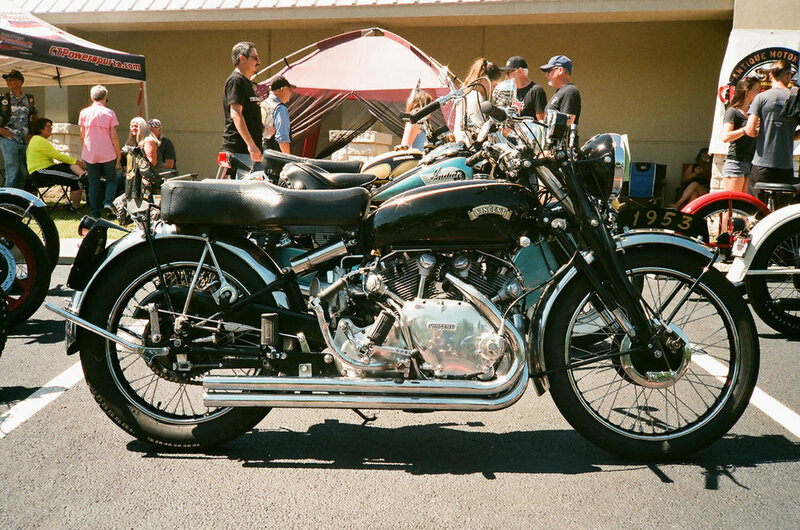 If you'd like to see more of the great classic bikes from the show, check out my gallery site.